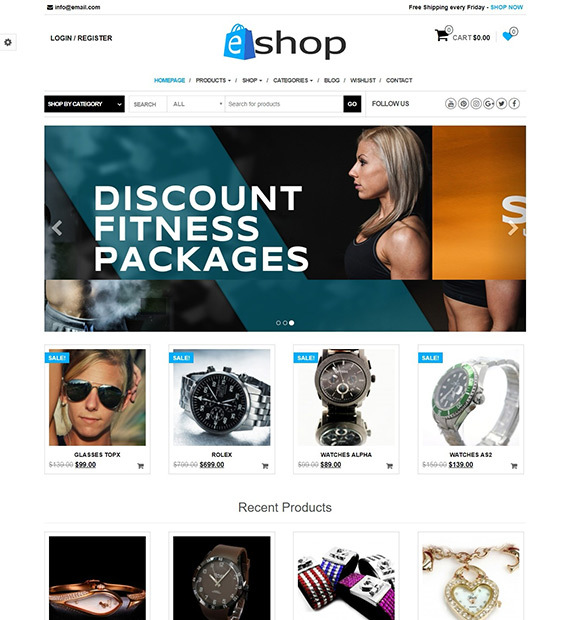 E-shop is a beautifully designed, responsive ecommerce WordPress theme. This theme comes loaded with every such features that are required to create an awesome WooCommerce website regardless of the store type. In addition, it offers you plenty of customization option along with unlimited color option. Besides, it is also WooCommerce compatible and fully support the wishlist plugin as well. Furthermore, product search with category select, SEO optimization, configurable home page, fast loading, left or right sidebar makes it a perfect choice for an eCommerce website.